2014 has been a good year for reading. It began with an extra-long serving of miserable winter weather, which kept me inside with a book in hand, followed by one of those cruel Aprils that T. S. Eliot beautifully described, and the showers for the flowers were also best avoided by hiding in a good story. But whom am I kidding? I don't need an excuse to read, whatever the weather. I reviewed many of my highly valued reads after I read them; books like The Fairy Gunmother by Daniel Pennac, I Will Have Vengeance by Maurizio de Giovanni, One Last Hit by Nathan Walpow and The White Magic Five & Dime by Steve Hockensmith. Here are some more of my most memorable reading choices. This Private Plot, by Alan Beechey (Poisoned Press, May 2014), is the third in the Oliver Swithin mystery series. Oliver is a nice fellow who is not always the brightest bulb on a string of lights. He writes children's books about a sneaky ferret, but wants to take a break and compile a book of trivia. In pursuit of the trivial, he comes across a murder, which he intends to solve. 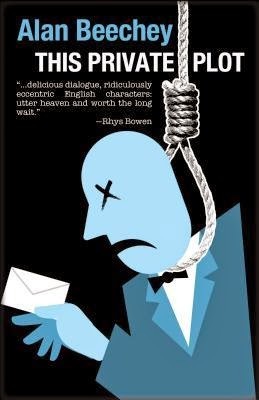 The story is perfectly balanced with wit, literary references, and plenty of humor and loose ends. I did a little happy dance when this book was finally published. 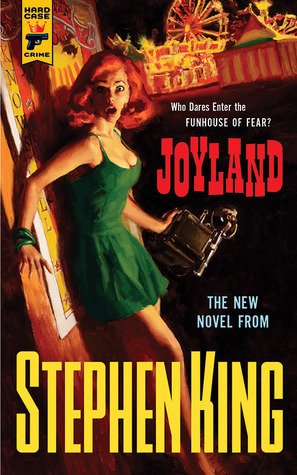 Joyland, by Stephen King (Hard Case Crime, 2013), is a wonderful tale about the summer a young college student traveled to the South to live and work at an amusement park. It has got everything––some love and loss, some coming-of-age, a bit of mystery and a nice spoonful of Stephen King horror. Nobody does it better. 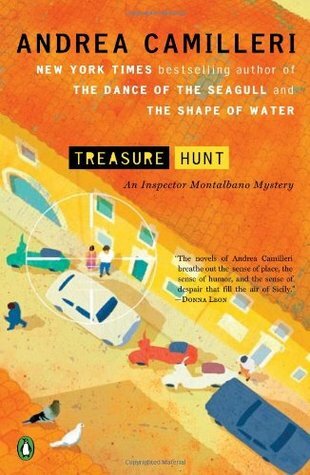 Treasure Hunt, by Andrea Camilleri (Penguin, 2013), starts as a barrage of bullets rains down on a piazza. Salvo Montalbano is hailed as a hero as he clambers up a ladder to discover that the snipers are an elderly pair of siblings who have been going slightly nuts for decades. Montalbano has a double-barrel case going on as he searches for the answer both to the riddle of what happened to the treasure found in the shooters' apartment and to a slightly more sinister treasure hunt created by a malevolent secret admirer. 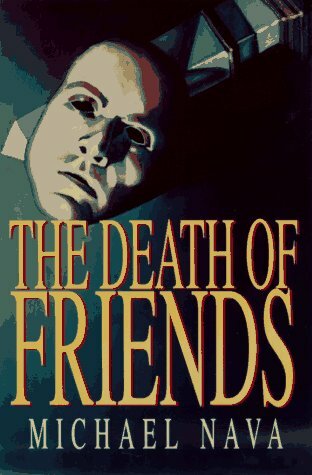 The Death of Friends (Putnam Adult, 1996) is a Henry Rios mystery by Michael Nava. It's the fifth in a series featuring Rios, a lawyer working in Los Angeles. While mourning for a close friend and lover who is succumbing to AIDS, he takes on the case of the murder of a friend and judge who was deep in the closet. Rios is a wonder, both a complex and very likable character. Maybe it would be more specific to say a very admirable character. This series is way too short! 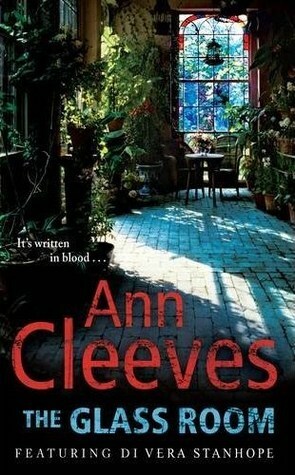 The Glass Room, the fifth book in the Vera Stanhope series by Ann Cleeves (Macmillan, 2012), was short-listed for the Specsavers Bestseller Dagger. Author S. J. Bolton put it well when she said this story has all the elements of a Golden Age Mystery––a windswept landscape, isolated country house, disparate people thrown together, crime scenes mimicking their fictional counterparts and a plot liberally strewn with blind alleys, red herrings and misdirection. 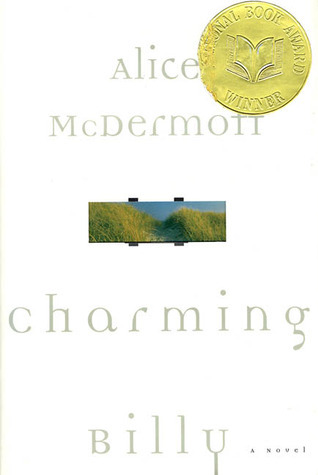 Charming Billy, by Alice McDermott (FSG, 1997), is a beautifully told story about a man who led the sad life of unrelenting alcoholism, only redeemed by the fact that so many people loved him. 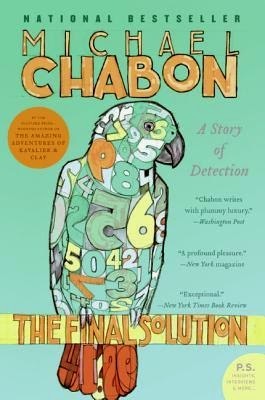 The Final Solution, by Michael Chabon (HarperCollins, 2004), is literary rather than crime fiction. It features a once-famous octogenerian detective who is caring for a nine-year-old child, who is mute since he escaped from Nazi Germany. This is a short book, but I found it a gem of a story. It was brilliant, faceted and valuable. Mike and Psmith (Penguin, 1998; first published 1909) and Psmith in the City (first published 1910), by P. G. Wodehouse, gave me the most laughs I had all year. Mike Jackson is a serious cricketer whose father has pulled him from public school because of his abysmal grades and has installed at a local high school where he meets one Rupert Eustace Psmith. The P is silent, as in Psychotic and Pterodactyl. This pair has riotous adventures and both end up working at a city bank after graduation where Psmith's genius for understanding and manipulation comes to fruition. 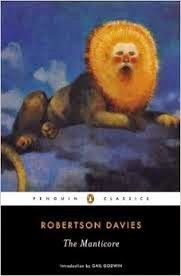 I can't imagine how I missed the talents of Robertson Davies after so many years of haunting bookstores and libraries. There is no explaining it. Robertson Davies was a Canadian novelist, playwright, critic, journalist, and professor. He was one of Canada's best-known and most popular authors. I began with The Deptford Trilogy. Davies is my best find in years. 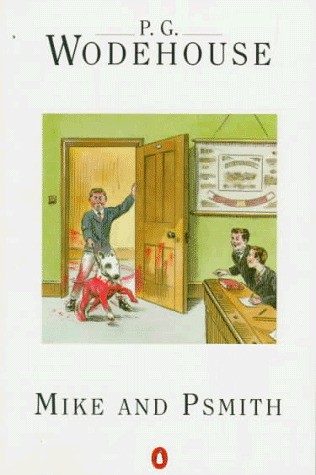 The first in the series is Fifth Business (Penguin, 2002; first published 1970). 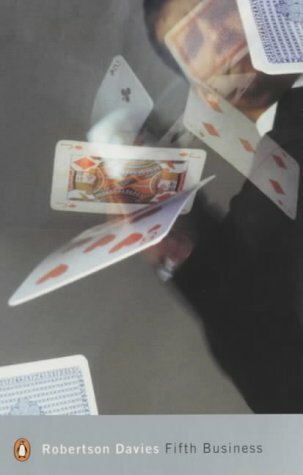 Davies defines fifth business as "Those roles which, being neither those of Hero nor Heroine, Confidante nor Villain, but which were nonetheless essential to bring about the recognition or the denouement, were called the Fifth Business in drama and opera companies organized according to the old style; the player who acted these parts was often referred to as Fifth Business." Fifth business in this case is Dunstable Ramsay, a history professor with a wooden leg and many interests in mythology, magic and the lives of saints. The story begins with a badly thrown snowball that defines the lives of the five people involved in the incident. 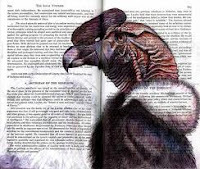 In The Manticore (Penguin, 2006; first published 1972), the stories of these individuals continues. It is told by David Staunton, the son of Boy Staunton, as he tries to discover who killed his father. Fortunately for me Davies has written several series, which will entertain me as well as enrich me in the years to come. 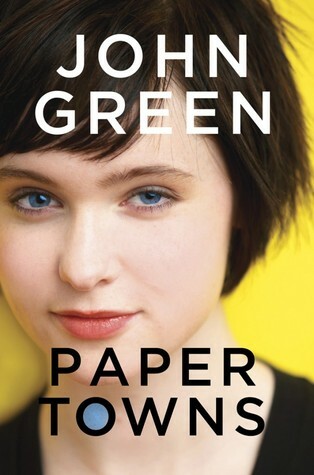 Paper Towns by John Green (Dutton, 2008) is a change from dark dystopian societies and post-apocalyptic scenarios. It led me to read several other John Green books. 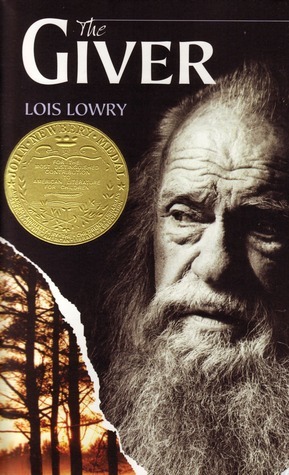 The Giver by Lois Lowry (HMH Books, 1993) is about a futuristic society that has refined itself into a utopia by eliminating pain and pleasure as well as individuality. This is a great springboard for spirited discussion if you are around kids who would actually read a book! 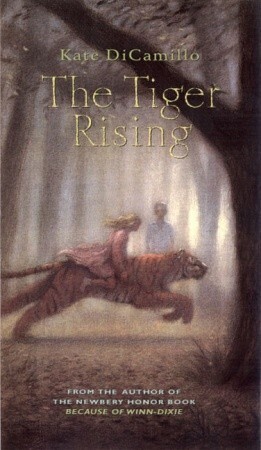 The Tiger Rising by Kate DiCamillo (Candlewick, 2001) is haunting, poignant and heart wrenching. The story is a short but powerful tale about rising out of despair. 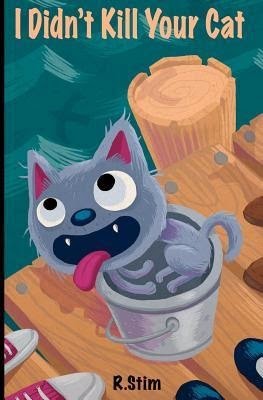 I Didn’t Kill Your Cat by R. Stim (2011). This was one of those books I read because the cover caught my eye. I loved heroine Frankie Jackson, who must solve the case of a murdered cat and clear her own name. There is a wonderful cast of characters who live on houseboats in the Sausalito area. 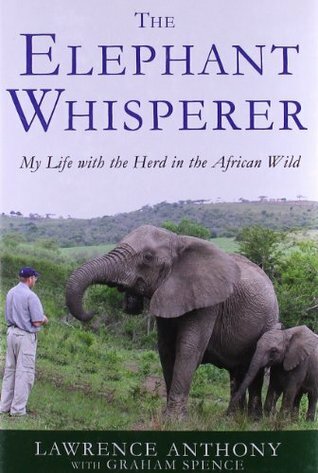 The Elephant Whisperer by Lawrence Anthony (Thomas Dunne, 2009) is a fascinating story about how South African conservationist Lawrence Anthony accepted a herd of "rogue" elephants on his Thula Thula game reserve in South Africa and kept them from being annihilated. Anthony says: "This is their story. They taught me that all life forms are important to each other in our common quest for happiness and survival. That there is more to life than just yourself, your own family, or your own kind." The narration by Simon Vance won the 2014 Audie Award for Biography/Memoir. When the author of this book passed away, the elephants he interacted with for many years instinctively walked many, many miles to come and visit him at the place near where he died. Labels: 2014 Best Reads, Anthony Lawrence, Beechey Alan, Camilleri Andrea, Chabon Michael, Davies Robertson, Green John, King Stephen, Lowry Lois, McDermott Alice, Nava Michael, notable books 2014, Wodehouse P. G.